Backstreet Grill was created with the intention of bringing affordable, innovative Southwestern cuisine to the Old Town area of Albuquerque. We started as a small location nestled in Plaza Hacienda, and began building a reputation for having quality food and amazing customer service. In the two years since our opening, we have expanded to a full scale, full service, 160 seat restaurant. 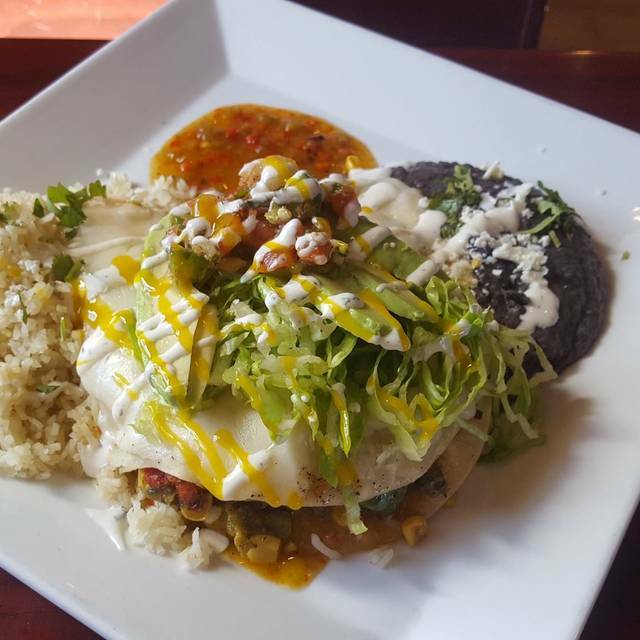 We feature foods made with locally sourced ingredients, as well as beers and wines crafted right here in New Mexico. We also have a very large and beautiful patio, perfect for enjoying a nice sunny day here in Old Town! Here at Backstreet Grill we use locally produced ingredients to create innovative, southwestern style meals for an affordable price. Some of our customer favorites include our famous fresh table-side made guacamole, baja sandwiches and duck tacos. Our from scratch recipes bring together a perfect blend of flavors from traditional Mexican street food to American classics. The vegetarian pizza us one of the most delicious things I've ever eaten! Everything was very good as always! this was our second visit to this place. the food is wonderful. four guy's golf trip. great place for good food. have whatever you wish. you will not be disappointed. I have to admit that the setting of a back porch overlooking the parking lot sort of set me off here, but the food was reasonable and the service was attentive. We had calamari and tacos that were fresh and well prepared. only complaint was glare from sun and no way to block it other than move to different table. I have been here many many times and it is always excellent. Backstreet Grill was recommended to me by a number of people, but I found it disppointing. We sat outside because it was a hot day and with no air conditioning, the temperature inside was insufferable. Of course, it was hot outside, too, even in the shade. The tables on the outdoor patio are awkward with large, heavy and uncomfortable chairs. The staff were friendly enough, but seemd to have too much going on and often seemed unavailable when we needed them. The menu claims to be based on "Baja Cuisine" but seemed to have nothing to do with any authentic Mexican cuisine and instead to be based on the philosophy of taking creativity to the point of being weird and avoiding anything that is really fresh or healthy. Tacos could not be better. We visit Albuquerque once or twice a year to see our son. This is the first time we’ve been to this restaurant. The food was good, but it was so hot in the restaurant, I had a hard time enjoying dinner. There was no air conditioning and no fan. Staff was very nice and attentive. They don’t serve hard liquor, but do serve wine and beer. We made a reservation but were told to wait. I asked what the point in a reservation if we had to wait? They DID get us a table. Food was just ok. We sat outside. That was really nice. I'll go back and try them again. As an aside, the hostess was very in-charge and impressed me with her competence. Nice restaurant in Albuquerque's old town district. Food was plenty and tasty - typical Southwest cuisine with a nice drink menu, including draft beers on tap. Overall nice restaurant in old town Albequerque. Restaurant was busy and servers were hustling but they were attentive and on the mark for all. 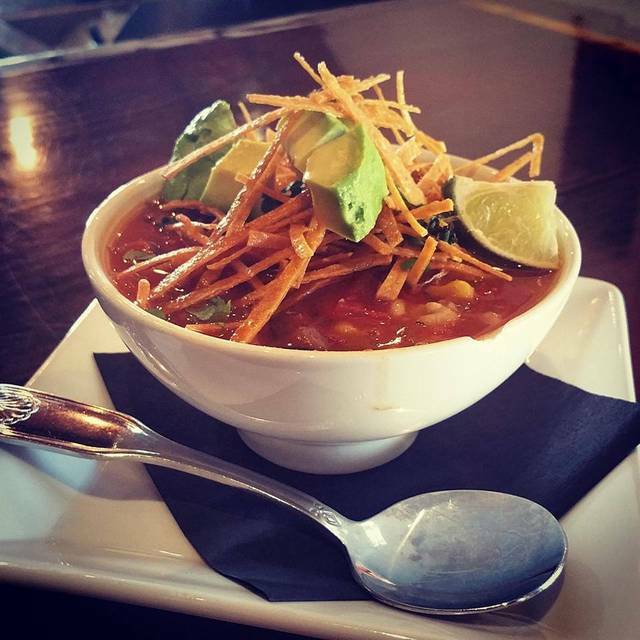 Tortilla soup was very good, the Baja beef? appetizer was delicious. Taco entrees (one duck, one steak) were both good as well. Would go back again if in Albequerque. Fabulous meal at Backstreet. Booked for NYE with out of town visitors and everyone enjoyed the food and atmosphere so much. Thanks! Awesome experience!!! We will be back. Old town nachos were the bomb. We enjoyed our dinner and thought it a great value. Had a disappointing experience while visiting Albuquerque. Service was quick but incomplete. Food came out at odd points without much planning. My family were all done with their meals prior to mine arriving (it was a burger and fries). The food was acceptable but nothing notable. Would not dine here again. This was the first time in all the times we used OpenTable that when we arrived for our reservation the table was not ready. We had to wait an additional 25 minutes for a table to clear. The food was good; however there was a lot of noise inside the restaurant with all the people talking which seamed to elevate everyone's voice. Also, our waitress seemed like she was in a bad mood and was more short in conversations. Sunday evening dinner with family, delicious food, thoughtful service, I highly recommend. Staff handled our large party perfectly, food, service, ambiance excellent. Food was spectacular. It was a very special evening. Waitress, was great...very animated. She did get busy, the restaurant got very busy. Older crowd. . .like us. We can't wait to go back. We went on a double date with good friends. Me and my friend actually work together and we each got gift cards from a child in our class. We are sure glad we decided to go to backstreet because the food was incredible and we had a wonderful time. Me and my husband are from Louisiana and a lot of what is on the menu was what was also on the menu at our wedding. I love scallops and brussels sprouts so I had requested the pilaf to be replaced by Brussel sprouts and they allowed my request with no hesitation and I was the happiest Lady in the room. We sat inside because we were afraid of the heat and humidity but looking back I think we all wish we would've sat outside and they're beautiful courtyard because I think it really sets the tone but even inside was amazing and at times with that we are the loud ones even though we were quite quiet. I highly suggest the signature cocktail with the lavender and flowers in it if you are a light drinker. We will definitely be going back for future date nights. loved it. just what we wanted. easy. fun. good food. Very good dinner out! It was conveniently located close to our VRBO. Would return. First time eating there- new on Open table. Food was pretty good- always hard to know what to order for first time at a restaurant. Service was great, Ashley was our server. He was very energetic and helpful. We sat out on the patio. Everyone was very friendly.